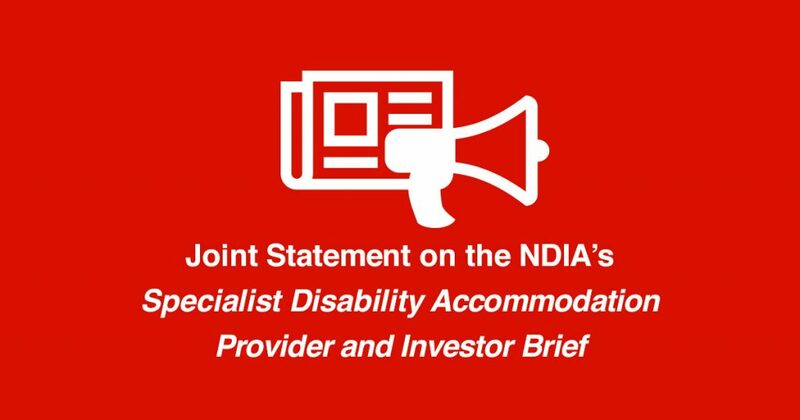 DPO Australia has joined with our sector colleagues to release a joint statement on the National Disability Insurance Agency (NDIA) Specialist Disability Accommodation (SDA) Provider and Investor Brief. While we welcome the positive commitments to SDA set out in this brief, new messaging indicates that most people with disability with high and complex needs will be required to share housing and supports. This is deeply concerning, has caused widespread uncertainty in the SDA market and put millions of dollars of investment in housing for people with disability at risk. DPO Australia, and other disability groups, feel the NDIA’s expectation that people have little choice but to live in shared arrangements breaches Australia’s human rights obligations and the NDIS Act and puts the safety of people with disability at risk. The NDIA must provide greater certainty to people with disability.